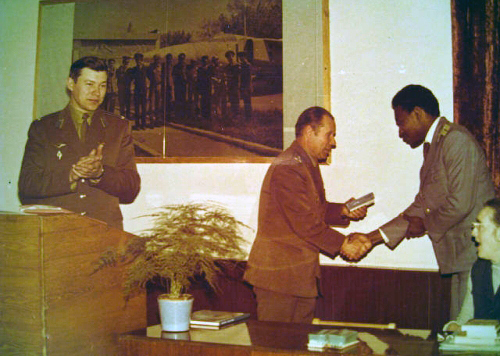 The Frunze Military Aviation School began to train pilots from foreign countries in 1956. The first 15 pilots were taught on Yak-11, Yak-18 and MiG-15 Fagot models. 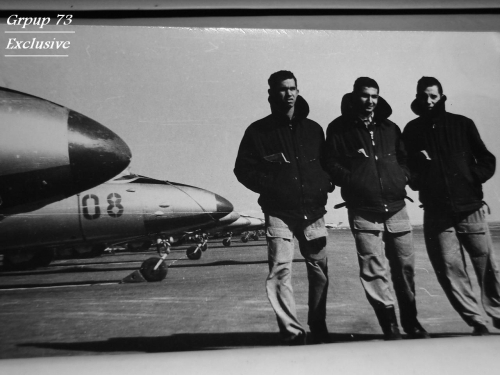 The school was renamed in 1959 to 5th Training Center and the improvement of Aviation Personnel. At the edge of Central Asian deserts and rugged valleys of Tien Shan mountains, far from everything were the foreign pilots trained. It was believed that the Soviet Union secrets can be best preserved this way. 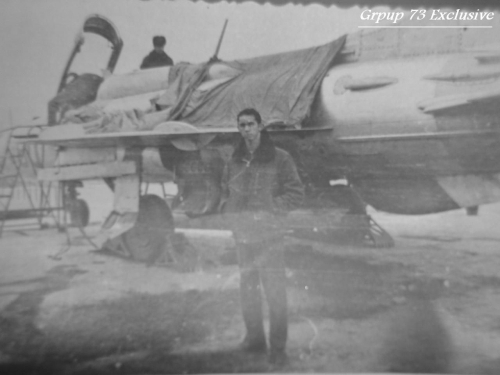 In 1962 started the training to the new super-secret MiG-21 Fishbed type at the school of Frunze. 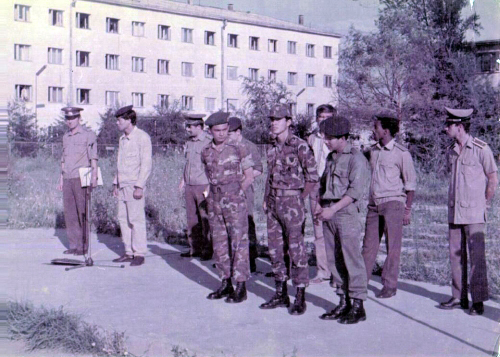 The experienced pilots of friendly countries (Finland, India, and the Arab States) were trained at the Lugovaya 715th regiment. 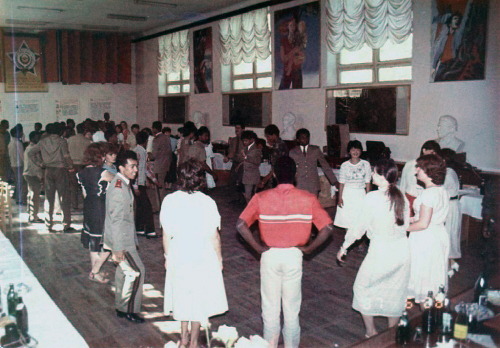 The pilots of allied Warsaw Pact countries weren’t trained here but at the North Caucasus Krasnodar school. 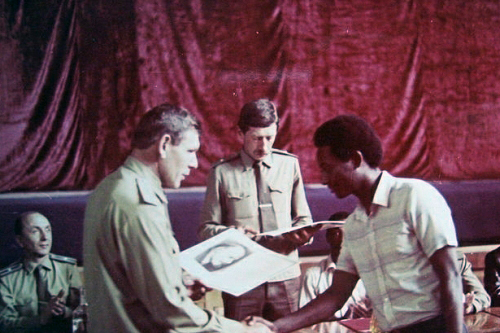 The main task of the school was the training of novice pilots based on inter-state agreements. 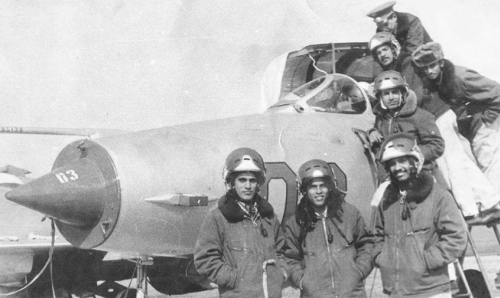 In the sixties, mainly young Arab pilots were trained to L-29 Delfin and MiG-21 Fishbed models. 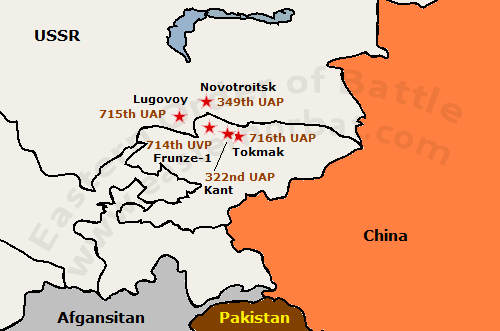 At Tokmak, Kant and Novotroitsk airport the 716th, 322nd and the 349th Training Air Regiment only did basic training. Combat training was not given to the pilots. They should have received that at home after arrival. 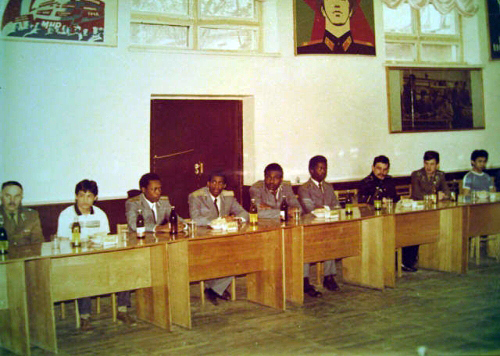 The Frunze school students after graduation became leading politician, or Air Force commanders. 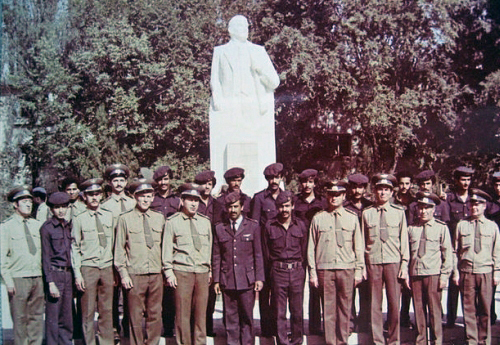 Example, Hafez al-Assad - Syrian statesman, Ahmed Julen – Yemen Air Force commander, Joao Bernardo – Mozambique AF commander, Rakesh Sharma – Indian astronaut and other people. The training of helicopter pilots also began in the sixties. First, they used Mi-4 Hound, later Mi-8 Hip models. 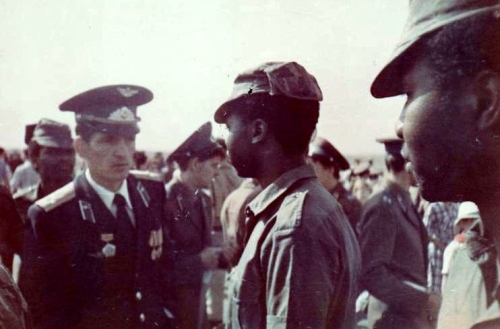 Ethiopians Air Force crews in the Soviet union. 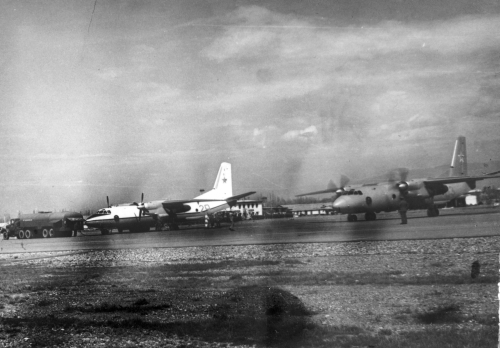 Since the early seventies, An-26 Curl crew training was also conducted. Every of the five crew members (pilots, radio operator, navigator and flight engineer) to the An-26 Curl were trained at the 5th Training Air Center. 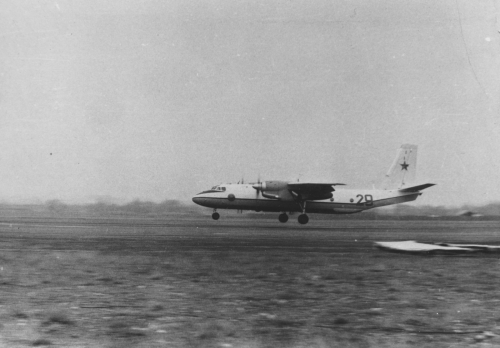 The pictures were taken at the airport of Tokmak from An-26 Curl in 1974. In the seventies, training began to MiG-23 Flogger fighter/ bomber aircraft and Mi-24 Hind attack helicopter type at the 5th Center. Training for these types only happened here for the third world and Warsaw Pact pilots. 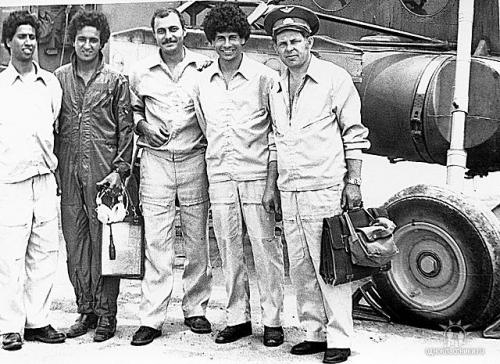 In 1974 they began to retrain the Arab pilots to MiG-23MS Flogger-E fighter and MiG-23BN Flogger-H bomber types. 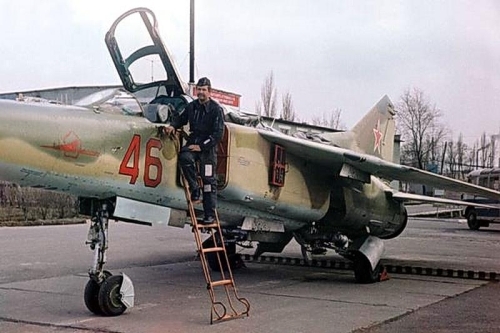 From 1978 the retraining of the Warsaw Pact pilots began to MiG-23MF Flogger-B type at the 715th Training Air Regiment at the airport of Lugovaya. From 1978 the Mi-24 Hind attack helicopter training began at the 714th Training Helicopter Regiment at Frunze-1 airport. 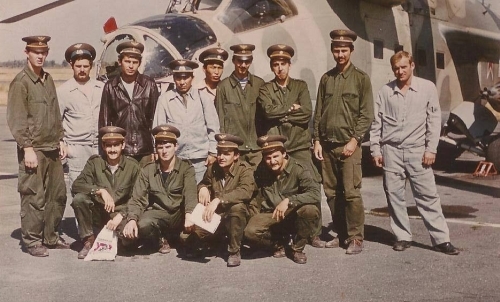 Mig-23 Flogger conversion training school at Lugovaya. Part one. 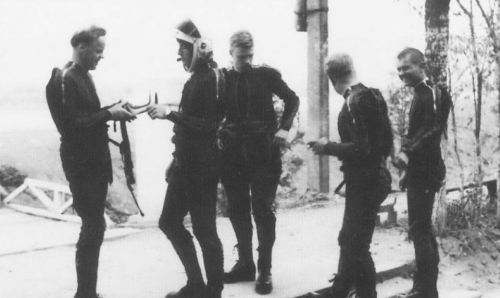 In the early eighties, along with many Third World pilots, for a short time German and Hungarian pilots took part in basic flying training too. 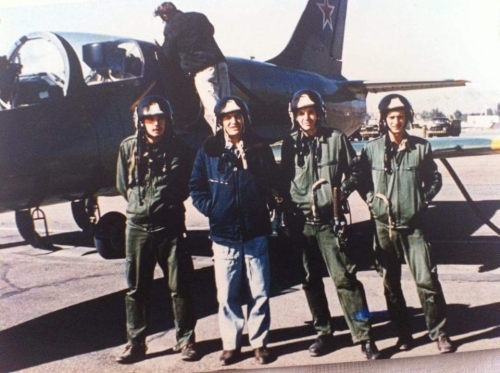 The first two years they were flying with L-39 Albatros at Tokmak airport. 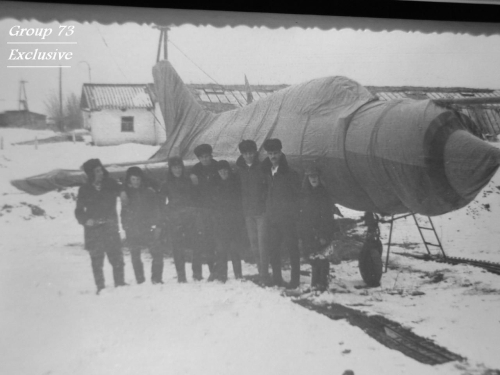 Then they were transferred to Krasnodar Flight School were where they flew with MiG-21bis Fishbed-L/N models. 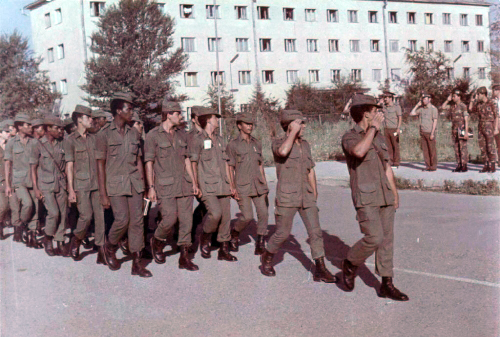 Many of the young German pilots returned to the 5th Training Center after graduation. They received retraining to MiG-23BN Flogger-H bombers from the 715th Air Training Regiment at Lugovaya airport. 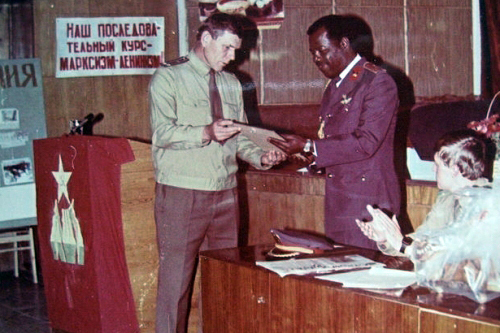 The airport of Novotroitsk was renovated from 1984, therefore the 349th Training Air Regiment used Kant and Lugovaya Airport. 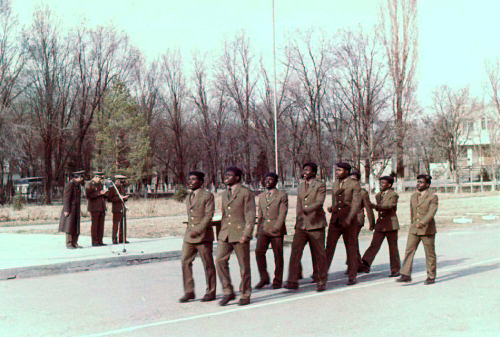 The reconstruction was slow, it didn't finish until the dissolution of the Soviet Union. The regiments pilot and machine portfolio changed on demand. In 1986, for example, they trained the Indian Mi-26 Halo crew here. In 1985 started the training for the MiG-29 Fulcrum type. 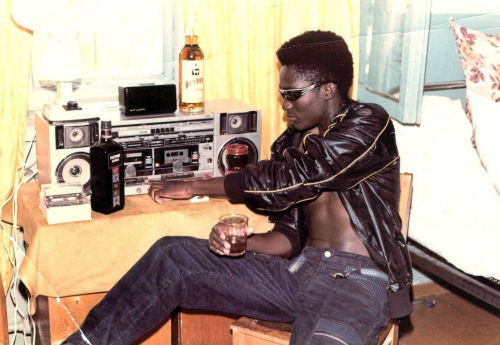 In the eighties, only the 715th regiment trained foreign pilots for the MiG-29 Fulcrum! 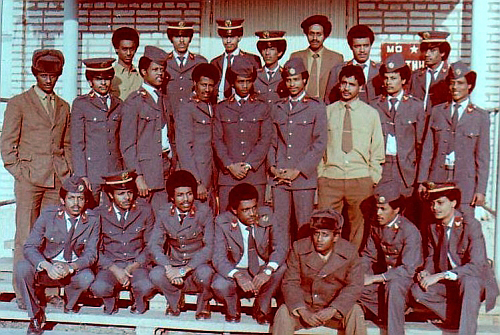 Soviet 5th Training Center Ethiopian, Yemen and Zimbabwe pilots in Kant airbase Photo: Fomicheva A.P. 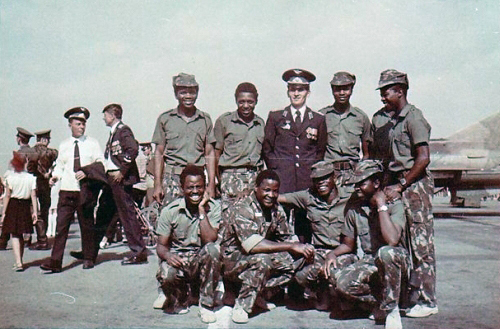 In the second half of the eighties, pilots arrived especially from the conflict zones and Sub-Saharan Africa for basic flying training. 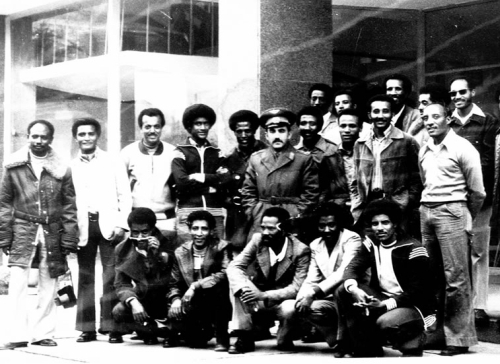 A lot of pilots from Cuba, Angola, Ethiopia, and Yemen studied at Kant and Tokmak airport. 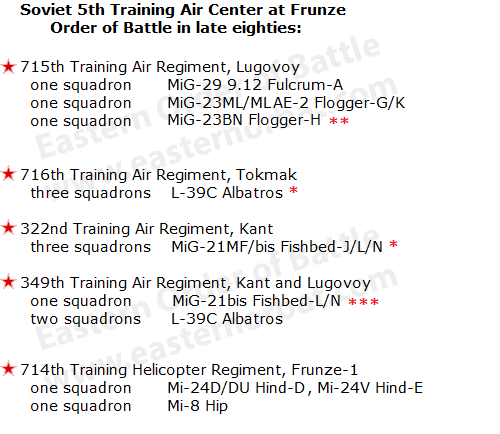 At the 716th, 322nd, 349th Training Air Regiments and the 714th Training Helicopter Regiment they learned to fly and navigate at basic level on L-39C Albatros, MiG-21MF Fishbed-J and MiG-21bis Fishbed-L/N aircraft and Mi-8 Hip helicopters. 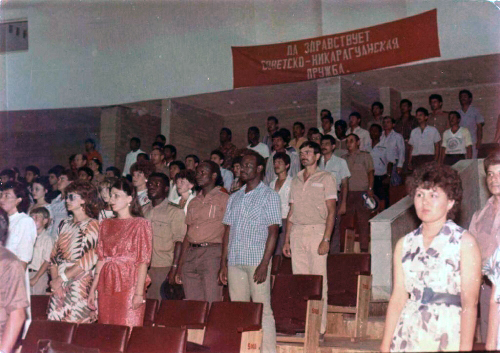 At that time, more than a hundred interpreters were working in the 5th Training Center. 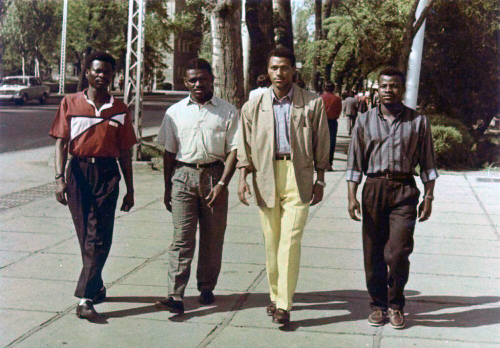 Between 1957 and 1992, the school trained 21 682 people from 54 countries to 110 different fields of study. 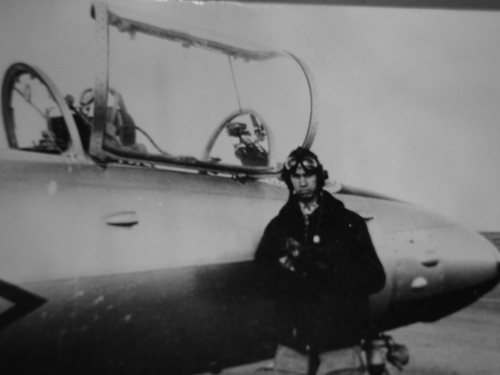 Among others 5698 pilots, 749 navigators, 469 combat control officer, 165 air gunner, 8998 radio operator-navigator and more than 5,000 other aircrews. 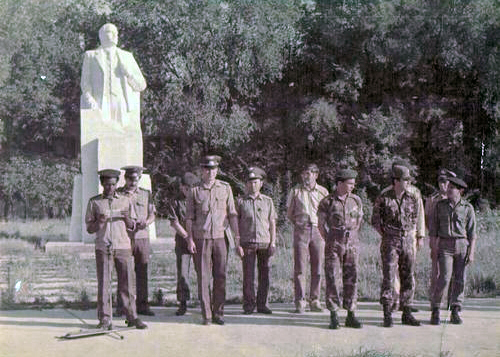 The training terminated in 1992. 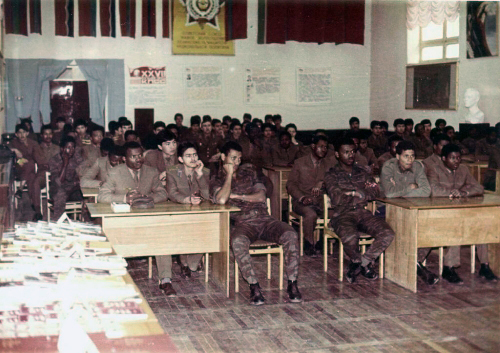 The Soviet 5th Training Center disbanded in early nineties.